The OHSAA placed the Galion athletic department on probation for two years, suspended Galion coach Chris Hawkins for two games and a player for one game on Tuesday. More on this breaking story will be posted here as it becomes available. 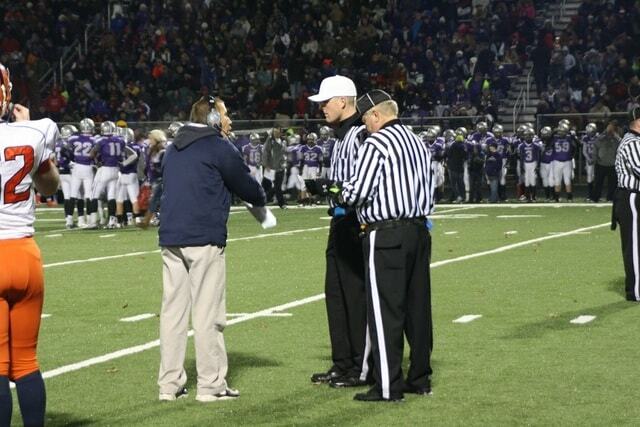 Galion football coach Chris Hawkins argues a call during last November’s playoff game. http://aimmedianetwork.com/wp-content/uploads/sites/38/2015/07/web1_coach1.jpgGalion football coach Chris Hawkins argues a call during last November’s playoff game.